Yes is yes; no is no. In the Dharma battle, each stands on his own ground. Therefore it is said, when one's activity is upward, even Shakyamuni, Maitreya, Manjusri, Samantabhadra, the thousand holy ones, and the religious teachers of the whole world become spiritless and silent. When one's activity is downward, even maggots, gnats, and all creatures become brilliantly illuminating and as independent as a ten-thousand-fathom cliff. However, how is it when one's activity is neither upward nor downward? If there is any rule, rely on the rule; if there is no rule, follow a precendent. See the following. Muzhou asked a monk, "Where are you from?" At once the monk shouted, "Kaatz!" Muzhou said, "This old monk has been scolded by you with a 'Kaatz'!" The monk shouted again, "Kaatz!" Muzhou said, "After three or four shouts of 'Kaatz,' then what?" Then Bokushû hit him saying, "You empty-headed fool!" Adepts are expert at strategic change. Who is blind? Fetch him! Expose him to the world! I bring it out for all to see. I've heard all of you imitate my shouting. But I ask you, if a monk comes from the east hall and another monk comes from the west hall, and they both shout at once, which one is the guest and which on is the host? If you can't distinguish host and guest, then you must not imitate me any more after this. Some people say, "Why worry about Muzhou saying, 'After three of four shouts, then what?'?" and just go on shouting. Let them give twenty or thirty shouts, even go on shouting until Maitreya comes down to be born, and call this riding the tiger's head. If you understand in this fashion, it's because you don't know Muzhou. "After three or four shouts": He gradually brought him to a pitfall; an expert commander is unique. Though this monk has no choice but to act, he remains silent; what about that? There is flavor in this silence, and Xuedou appreciates it. "You thieving phony! ": He shamed him, calling him an outsider with no guts but a high opinion of himself. "Katsu" (or "kaatz") is an onomatopoeic word for Zen shouting, which was originally used by the teacher when he wanted to sweep from the student's mind all kinds of complications, delusive thinking and so on. Later it came to have several uses. In the present case the monk used it to express his condition. "This old monk is shouted down by you." Muzhou's reply did away with the monk's shout as if it had been absorbed by empty space. The monk shouted again, but is he a true dragon or a common snake? "What about after the third and fourth shouts?" The lion was staying crouched. When the monk was then silent, Muzhou hit him. Deshan used to say, "I hit you if you answer, and I hit you if you do not answer." 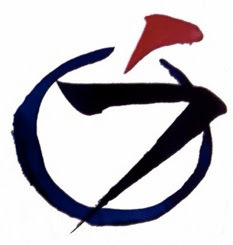 Linji often used hitting to express approval. "You empty-headed fool!" is an instance of approving while seeming to denigrate. "Where did you come from?" – a checking question. It tries to find out whether the monk is enlightened or not, or (if he is enlightened) how deep his realization is. When asked where they came from, most people answer, "I came from so and so." But this monk suddenly answered with a "Kaatz!" A wonderful Kaatz, which might be paraphrased, "Coming or not coming – what a silly question. Away with it! Kaatz!" But this first "Kaatz" doesn't really show whether the monk is actually enlightened or not. Shouting out loud does not necessarily guarantee authenticity. "After three or four shouts of 'Kaatz,' then what?" What happens after you've shouted "Kaatz" three, four, or hundreds or thousands of times? Will your "Kaatz! Kaatz!" bring you anywhere? The monk was silent. Now this silence is the big problem. Many say that this silence is not bad, is in fact quite meaningful. Some say that he should have let out another "Kaatz!," but I don't think so. This silence is significant enough. "You fake monk!" In Zen, there exists no end to the deepening process of our practice, so this severe phrase could be applied to any Zen personage. One famous verse goes, "Even the blue sky must be hit with a stick." At the beginning the monk bravely yelled out his "Kaatz"-cries, but then he became speechless. 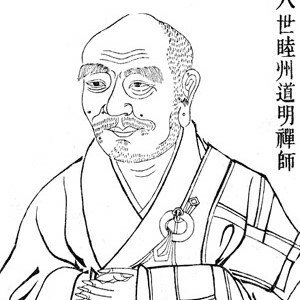 This judgment attests to Muzhou's supreme Zen-power. But this doesn't mean that the monk was blind. beam out a shining light. Walk straight ahead -- how will you deal? Sometimes a shout is a crouching lion. sometimes it is a jeweled sword. Slicing quick to the other side. to see where you are. Out! Where did you come from, after all? As is each eternal moment coming forth.